Malaria is one of the world’s oldest and deadliest diseases – so lethal and ancient is the infectious disease that it is said to have killed half of all humans who have ever walked the face of the earth. Tutankhamun, George Washington, Alexander the Great, Christopher Columbus and Mahatma Gandhi have all suffered from malaria. Half a million people are killed by the disease every year, half of whom are children under 5 years old. And yet it is entirely preventable. 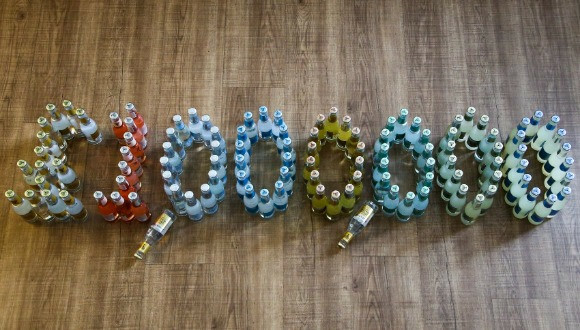 The fight against malaria means a lot to us at Fever-Tree; it’s more than just a worthy cause. In fact, it’s part of the reason we exist in the first place. It is often asserted that the quinine-producing cinchona tree, known colloquially to local growers as the fever tree, has been one of the most important plants for the advancement of humanity. While the line between fact and legend can often blur, we know that ancient explorers in South America observed that locals who spent time around the trees didn’t succumb to the ‘fever’ that blighted others. The plant eventually made its way to Europe and into the hands of the British Army, who used it to protect troops in its colonies, like India. Soldiers would be given a daily ration of cinchona bark shavings diluted in water to protect against malaria. The wily chaps soon found ways to mitigate the incredibly bitter taste and added sugar to create the first, very rudimentary tonic water, which also explains its name. Mixed with their daily ration of gin, the G&T was born - Winston Churchill later stated that “the gin and tonic has saved more Englishmen's lives and minds than all the doctors in the Empire”. Since then, medical advances and prevention tools, like bed nets, have drastically curbed its power. The rate of deaths was in decades-long decline, with populations flourishing and the end of the disease in sight. However, as the world’s collective attention has turned to other afflictions and atrocities, focus has shifted off malaria and the momentum towards total eradication has been lost. In some countries, the death rate is on the rise again. 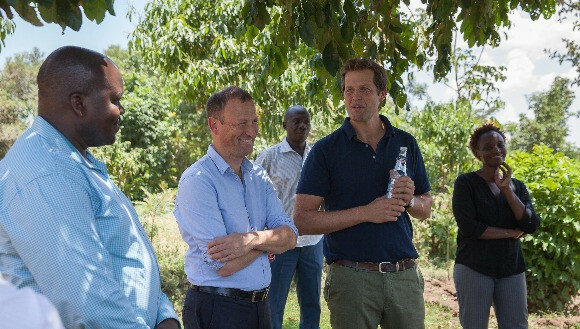 A few years back, our founders Charles and Tim pledged to put the power to fight malaria back into tonic water. Their ingredient-hunting trips often led them to countries battling the disease, where they saw with their own eyes the impact of this avoidable disease. Since then, we have been working with Malaria No More UK, a small but powerful charity whose mission is to eradicate malaria for good. As the team there say, “we know how to end malaria we just need to join all the dots to do it”. We can’t wait for the day we can finally raise a gin and tonic and toast the total global eradication of malaria; we’re going to keep working with Malaria No More UK to make that day come sooner rather than later. © 2019 Fever-Tree. All Rights Reserved.